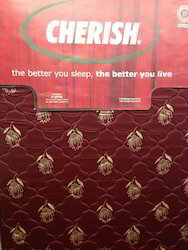 Cherish Mattress is a unique combination of 120 density coir on top & bottom and 100 density rebonded foam in the middle. Lamination on coir for smooth, various shapes and sizes. Owing to our vast experience in this field, we have emerged as one of the leading suppliers of Coir Foam Mattress. These products have unique combination of 120 density coir on top, bottom and 100 density rebounded foam in the middle. 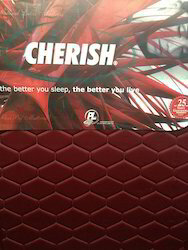 These mattresses offered by us are perfect for having a rejuvenating night's rest. These products are widely appreciated for their seven year warranty. These products are offered in bulk and with standard packaging. 100 density rebonded foam in the middle. Cherish sangam is a unique combination 90 density coir on top & bottom and re-bonded foam in the middle. Comes in polycot quilted cover , reversible. 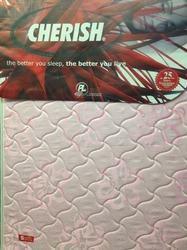 A solution for common orthopedic disorders, impression mattress provide your spine with optimal support. In addition to that, the mattress comes in specially designed in jaquard fabric and delicate quilt patterns with both side quilting. One side is firm and the other is soft. Comes in different thickness 4" , 5" , 6" & 8". Cherish Twinzz comes with a unique combination of nature and technology. 100% pure latex on one side and rubberized coir on the other. A solution for common orthopaedic disorders, Twinzz mattress provide your spine with optimal support. In addition to that, the mattress comes in specially designed in jaquard fabric and delicate quilt patterns with both side quilting. One side is firm and the other is soft. Comes in different thickness 5" & 6" .